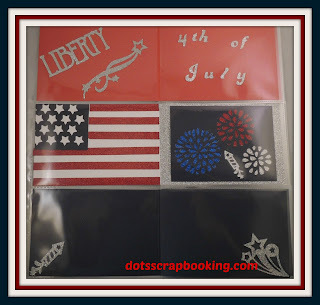 Dots Scrapbooking: Getting Ready for the 4th of July! 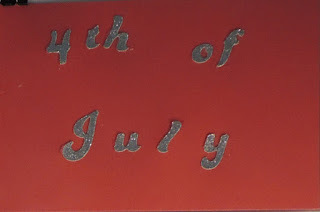 I got asked about a layout for the upcoming July 4th weekend by one of my club members last week. 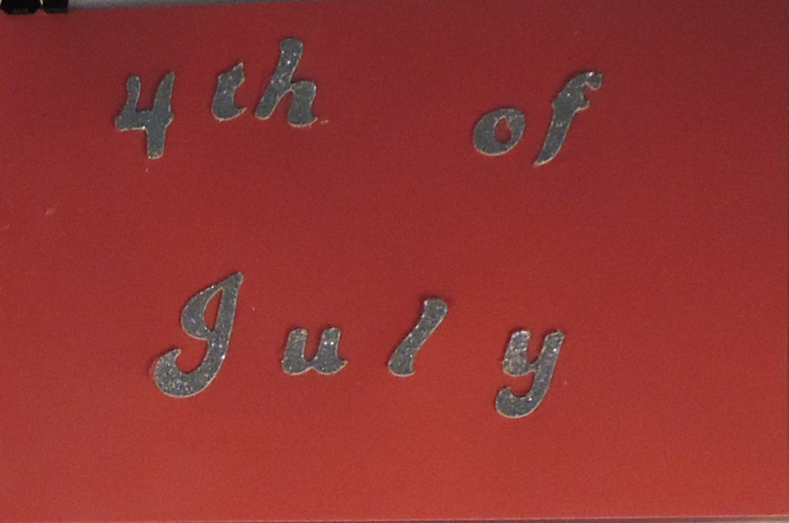 CTMH doesn't have any obvious patriotic papers available in the present books so I was a little bummed. But then that was later in the evening and, I admit, I am not at my best in the evenings. So the next morning, I kept thinking about Robin's request and thought about Janene Wawro's (my upline) team training the prior Saturday. 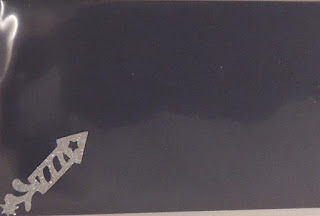 I came up with a page that holds lots of pictures (at least 18) with a festive flair to it. 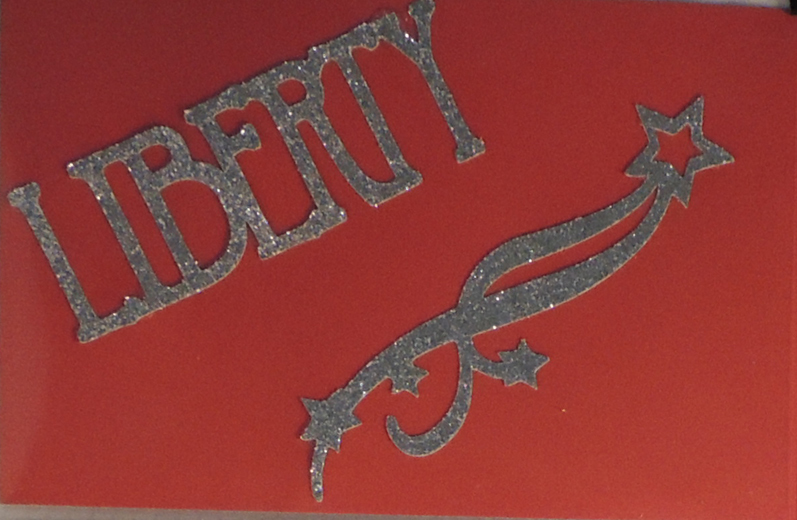 I cut strips 4" x 12" of ruby red, daisy white and outdoor denim cardstock 2 of each color. I scored the strips at the 6" mark and put a fold in them. 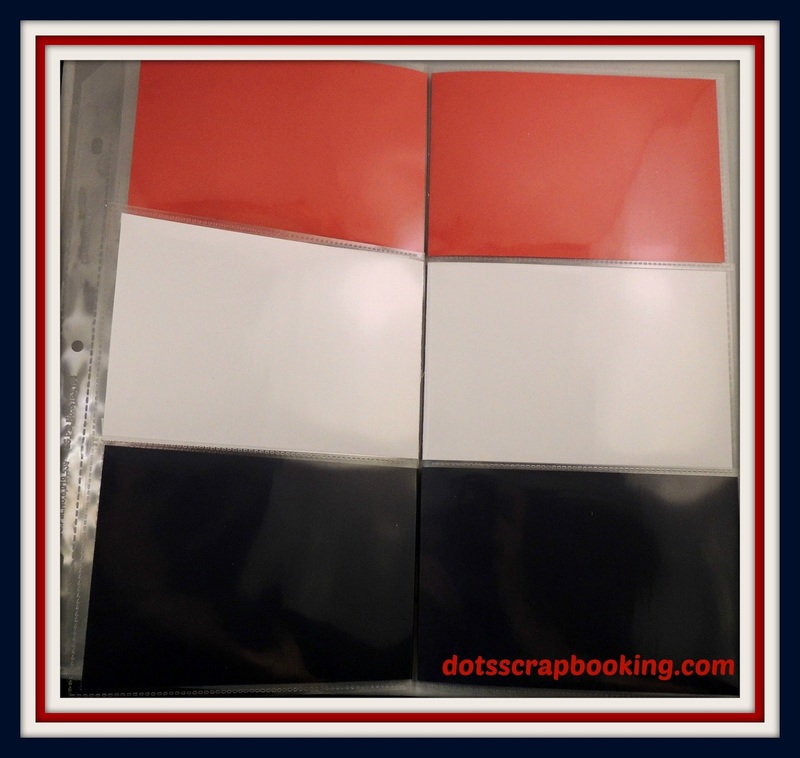 I then got some 4x6 flip-flaps, which can be used to add photos to any of your pages. These wonderful products come in a variety of sizes. The 1/2" above the dotted line is a self-stick strip that I cut off. I took the remaining pocket and put it over one end of the cardstock strip. The other end was inserted into the page protector top left hand pocket. I continued this for all the page protector pockets. This gives you spaces for 24 4x6 pictures!! The decorations were created using the Artbooking cartridge pages 64 and 65. 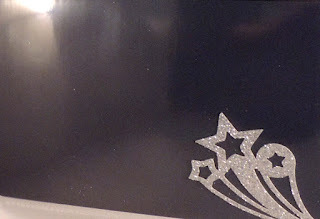 I cut silver glitter paper for the silver decorations. 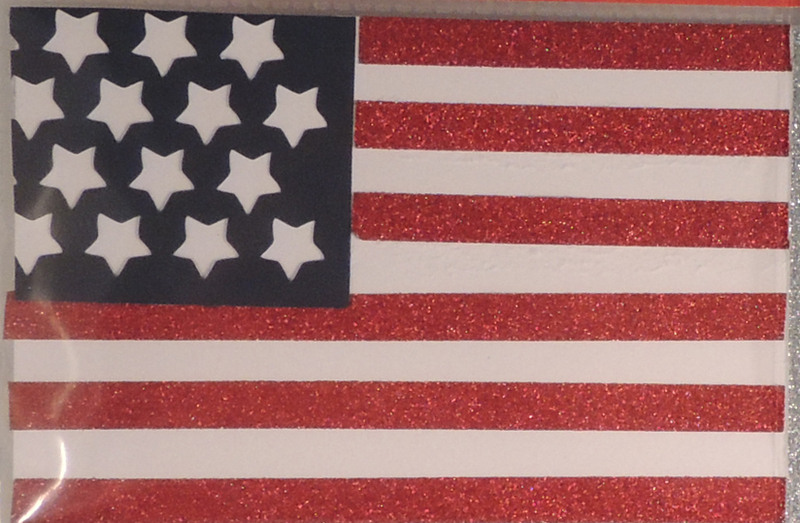 The flag was created using the Artfully Sent cartridge page 21. The card sleeve has star cutouts on one side. 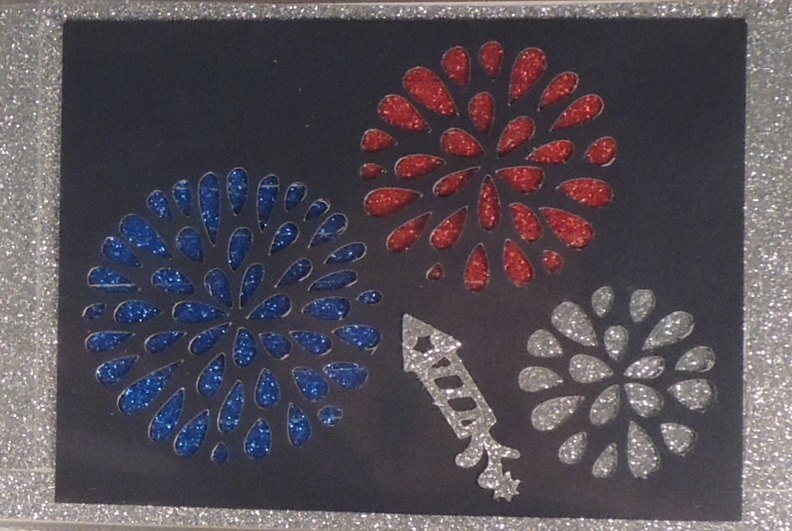 I cut it at 5" to make the stars smaller and cut out a portion of that side. 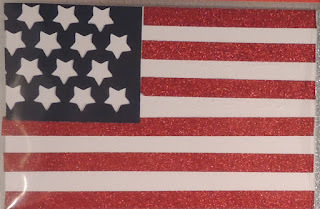 The red stripes were made with the red shimmer tape (love the shimmer tapes all colors). Opposite the flag are "fireworks". Sometimes you have to have imagination!!! Page 15 in the Artfully Sent cartridge is another card sleeve with 3 flowers. 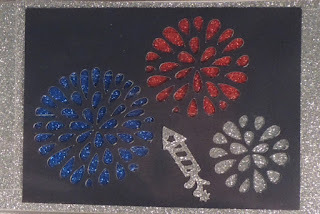 They were close enough to fireworks for me so I backed them with silver glitter paper, red shimmer tape and blue shimmer tape. Last Day for the June Stamp of the Month! You Can Never Have Too Many Thank You Cards! It's the Middle of June Already!! Hello June! Here Comes The Sun!!! !